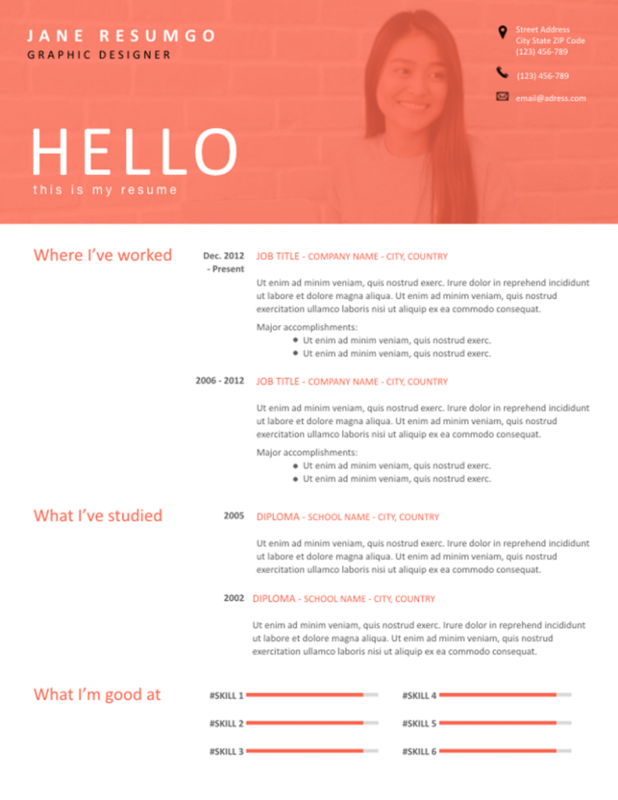 Agueda is a free straightforward resume template, with a distinctive and significant pink/orange header. Informal, singular and light style. Use the header with or without ID photo.